I’m a sucker for blue and green together. I don’t know why I love this color combo so much, but it surely makes my heart sing. 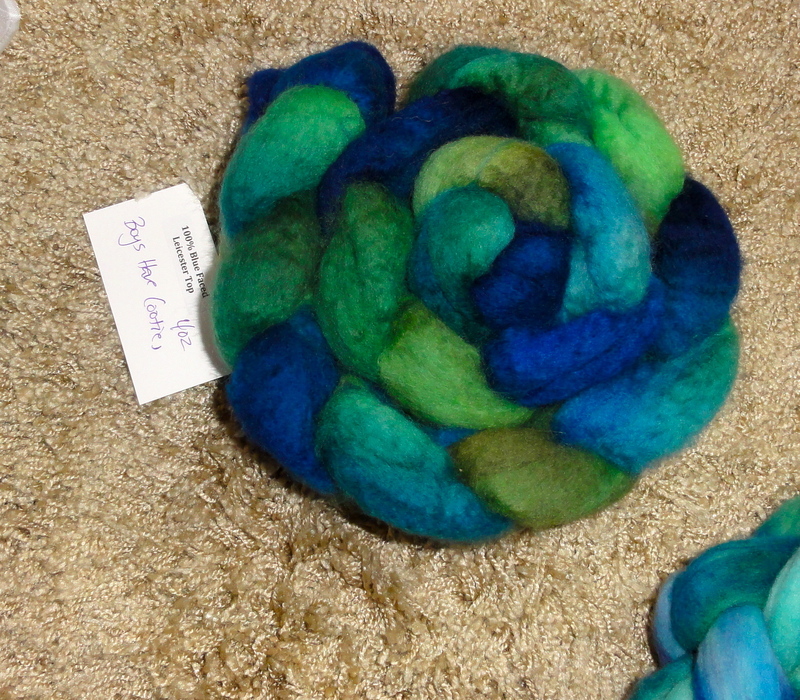 So imagine what happened when one of my fellow Ravelers who is doing the fractal challenge posted pictures of two gorgeous braids of blue and green fiber (along with the yarn she made from one of the braids and the shawl she started knitting with it). Yep, I just had to have it. 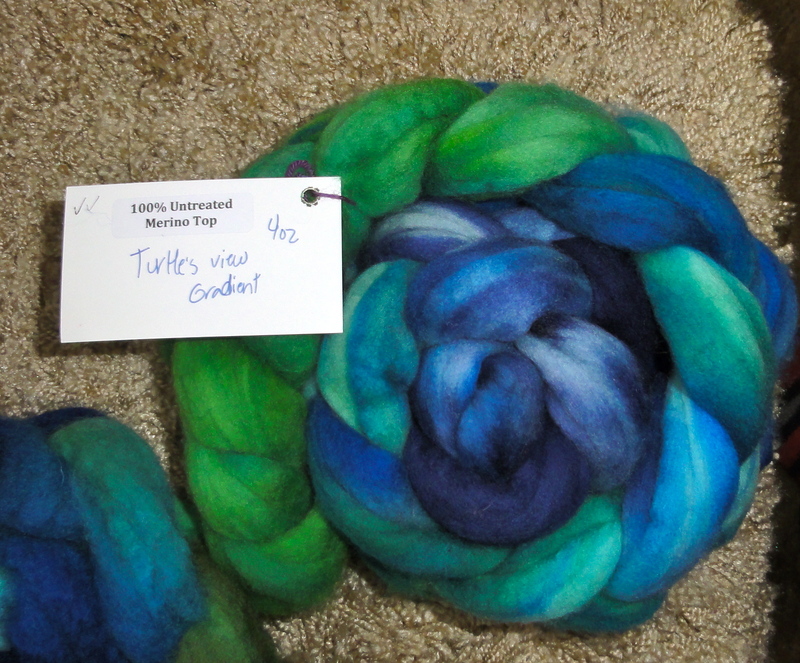 Turtlepurl BFL in Boys Have Cooties. Gotta love that name! The fiber is from Turtlepurl Yarns in Hillsborough, New Brunswick, Canada. The prices and postage were so reasonable that I just had to order more than two braids. There’s more to life than blue and green. 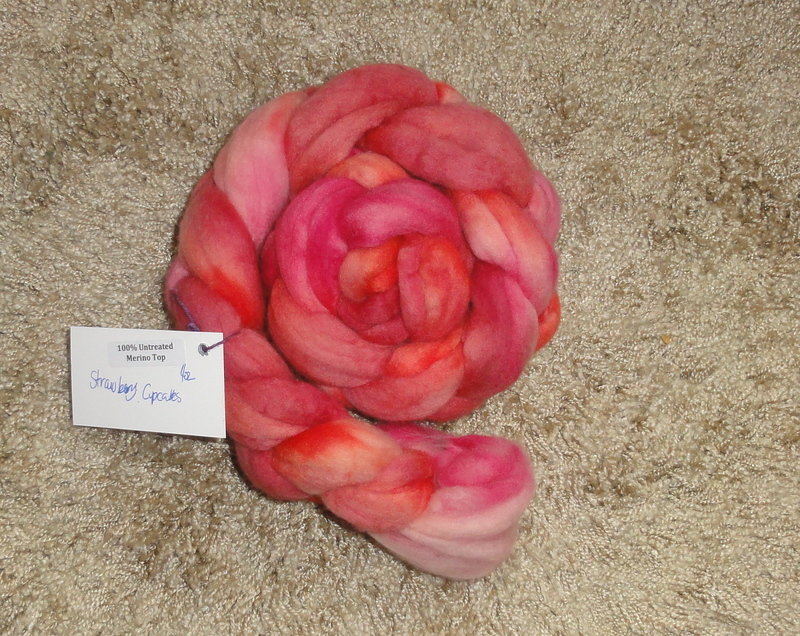 The color way of this lovely Merino top is called Strawberry Cupcakes. And this brilliant color way of alpaca/BFL/icicle blend pencil roving is appropriately named Firestarter. This entry was posted in Spinning and tagged alpaca blend pencil roving, BFL, Merino top, Turtlepurl Yarns. Bookmark the permalink. ← What’s In Your Sock Drawer? Awesome colors! If you reach SABLE, I would be happy to help…. 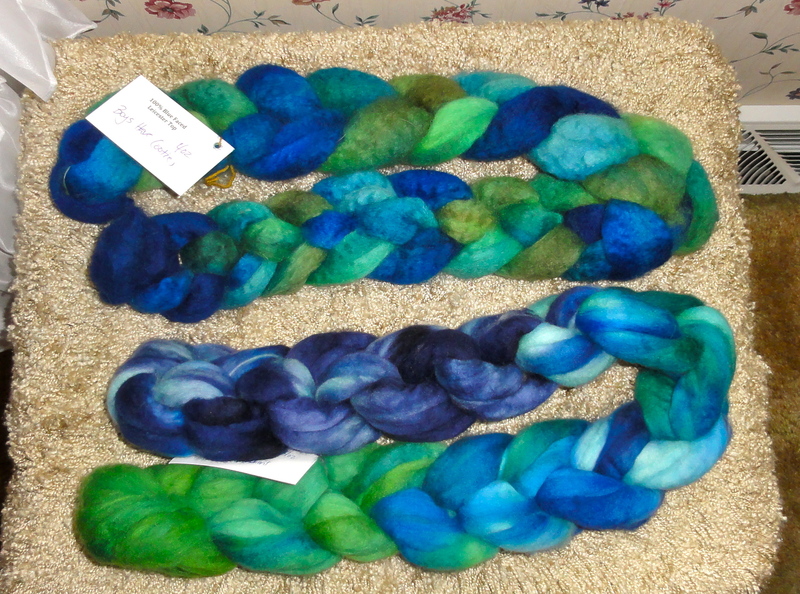 🙂 I am looking forward to seeing the blue/green braids spun, they are gorgeous! I also love blue, and blue and green together a close second. Those are gorgeous! 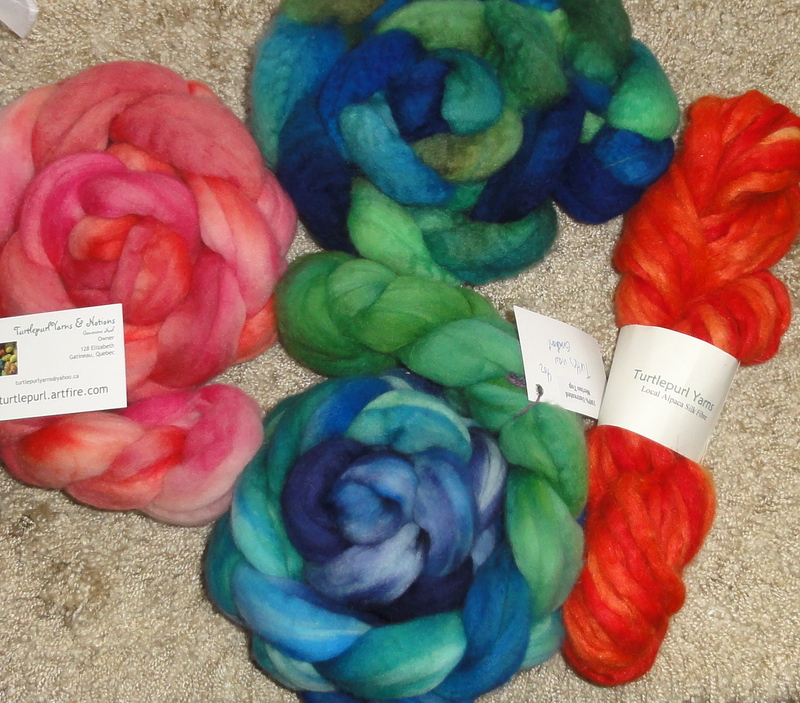 I can’t wait to see how they look spun (I’m a knitter but not a spinner, I’m not good at visualizing these things ahead of time). 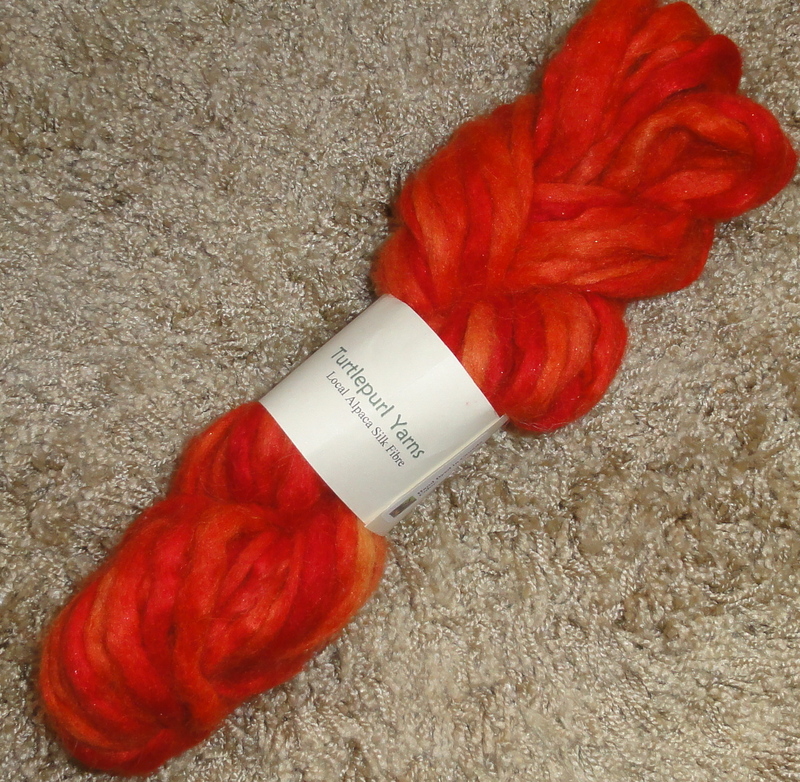 If you don’t like the finished yarn, I’d be glad to give it a home, just saying. Ohhh, blue and green is *such* a good combo. Those braids make me drool.